Baruch Brody is the Andrew Mellon Professor of Humanities in the Department of Philosophy at Rice University and the Distinguished Emeritus Professor of Medicine and Medical Ethics at Baylor College of Medicine. He also serves as the Director of the Center for Medical Ethics and Health Policy at Baylor College of Medicine and as the Director of the Ethics Program at the Methodist Hospital. 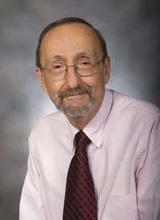 In recognition of his research efforts, Dr Brody was elected to the Institute of Medicine of the National Academies of Sciences in 2001 and was awarded Baylor’s highest research honor, the Michael E DeBakey Research Award, in 2002. 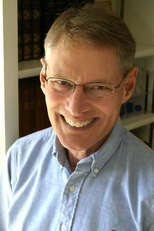 He has published six original books in bioethics and philosophy: Abortion and the Sanctity of Human Life (1975), Identity and Essence (1980), Life and Death Decision Making (1988), Ethical Issues in Drug Testing, Approval and Pricing (1995), The Ethics of Biomedical Research: An International Perspective (1998), and Taking Issue: Pluralism and Casuistry in Bioethics (2004). Dr Brody served on the Recombinant DNA Advisory Committee (the RAC) at the N.I.H. and on the DSMB for the NIH’s AIDS Clinical Trials Group. He was a member of the Ethics Advisory Board of the Howard Hughes Medical Institute and chaired many bioethics policy task forces for NASA. He was also the president of the Society for Health and Human Values and was a member of the board of the American Philosophical Association. He currently serves as a member of Greenwall Foundation’s Faculty Scholars Program Advisory Board. Arthur Frank is professor emeritus of sociology at the University of Calgary, where he has taught since 1975. Trained as a medical sociologist (Ph.D., Yale, 1975), he is the author of a memoir of critical illness, At the Will of the Body (1991; new edition 2002); a study of first-person illness narratives, The Wounded Storyteller (1995; expanded edition, 2013); a book on care as dialogue, The Renewal of Generosity: Illness, Medicine and How to Live (2004); and most recently, a book on how stories affect our lives, Letting Stories Breathe: A Socio-narratology (2010). Dr. Frank has been visiting professor at the University of Sydney, Ritsumeikan University in Kyoto, Keio University in Tokyo, and the University of Toronto, and a visiting fellow in bioethics at the University of Otago, New Zealand. For many years he was book review editor of the journal health: an interdisciplinary journal and among other editorial board appointments, he is a contributing editor to Literature and Medicine. Dr. Frank is an elected Fellow of The Hastings Center and a Fellow of the Royal Society of Canada. He was the 2008 recipient of the Abbyann Lynch Medal for Bioethics, awarded by the Royal Society of Canada. M. Therese Lysaught, (Ph.D., Duke University, 1992) is a Professor of Catholic moral theology and health care ethics at the Institute of Pastoral Studies at Loyola University Chicago, with a secondary appointment in the Neiswanger Institute of Bioethics at Loyola’s Stritch School of Medicine. Her first co-edited book, Gathered for the Journey: Moral Theology in Catholic Perspective (Eerdmans 2007, co-editor David M. McCarthy), provides an introduction to Catholic moral theology. In 2008, the book received third place honors in 'Theology' from the Catholic Press Association. Her second book, On Moral Medicine: Theological Perspectives on Medical Ethics, 3rd edition (Eerdmans, 2012), is co-edited with Joseph Kotva. In print for more than two decades, On Moral Medicine remains the definitive anthology for Christian theological reflection on medical ethics. Dr. Lysaught has served as an advisor to the Catholic Health Association and currently sits on the Board of Directors of the Society of Christian Ethics and the Editorial Board of the Journal of Moral Theology. She has also served as a member of the Recombinant DNA Advisory Committee (RAC) at the National Institutes of Health, the advisory boards for the Program of Dialogue Between Science, Religion, and Ethics at the American Association for the Advancement of Science (AAAS); and from 2008-2011, she was a member of the U.S. Catholic-Episcopal Theological Consultation under the aegis of the USCCB. Dr. Ingrid Mattson is a Muslim religious leader, a scholar of Islamic Studies, and an expert in interfaith relations. Since 2012 she has held the London and Windsor Community Chair in Islamic Studies at Huron University College at the University of Western Ontario in London, Canada. Dr. Mattson was educated in Canada and the United States, earning a PhD in Near Eastern Languages and Civilizations from the University of Chicago. From 1998 to 2012 she was Professor of Islamic Studies at Hartford Seminary in CT where she developed and directed the first accredited graduate program for Muslim chaplains in America, and served as Director of the Macdonald Center for the Study of Islam and Christian-Muslim Relations. 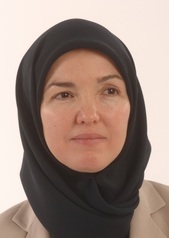 From 2001-2010 Dr. Mattson served as vice-president, then as president of the Islamic Society of North America (ISNA), the first woman to serve in either position. Her writings, both academic and public, focus primarily on Islamic theological ethics and Qur’an interpretation. Her book, The Story of the Qur’an, is an academic best-seller and was chosen by the US National Endowment for the Humanities for inclusion in its “Bridging Cultures” program. Dr. Mattson is the receipient of numerous awards and honors. 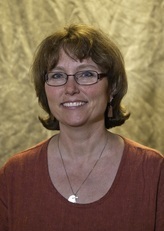 Some of her writings can be found online at www.ingridmattson.org.